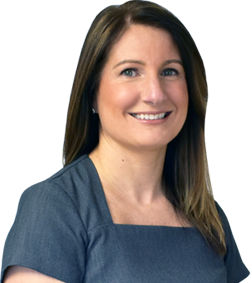 Dr Emma Dougherty qualified with Commendation from the University of Glasgow in 2002, achieving distinctions in Paediatric dentistry and Orthodontics. She then worked in the Maxillofacial surgery and Orthodontic departments in Glasgow and Liverpool for two years, during which time she attained membership of the Royal College of Surgeons of Glasgow. Emma is passionate about preserving the healthy tooth structure of patients. To achieve this, she uses minimally invasive techniques that involve less drilling and maintain a natural aesthetic appearance. Her treatments include tooth-coloured fillings, veneers, crowns, tooth whitening and CEREC CAD CAM – a technique that allows dentists to construct, produce, and insert individual crowns and inlays directly at the point of treatment. She has also undertaken training in the restoration of dental implants. 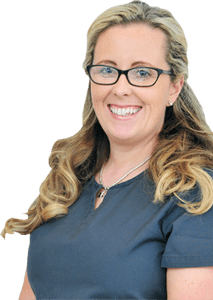 Emma devotes a significant part of her professional time to providing aesthetic short-term and comprehensive orthodontic (tooth alignment) treatments. She is an active member of the European Society of Aesthetic Orthodontists and is trained in providing a number of discreet fixed clear and removable orthodontic options for patients. 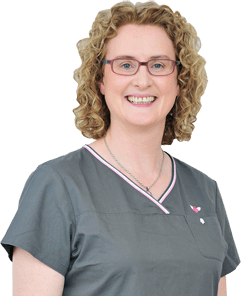 Among her recent achievements, Emma is the first dentist in Ireland to be awarded accreditation in the provision of Clear Smile fixed braces. She has lectured locally and nationally on behalf of the IAS academy (Intelligent Alignment Systems) on aesthetic orthodontics and now provides lingual braces (braces on the inside of teeth). These offer the ideal solution for patients who prefer the most discrete and invisible teeth-straightening option. In addition, as an advanced certified dentist for the Inman Aligner orthodontic system, Emma is trained to provide Clear Smile Clear Aligners. 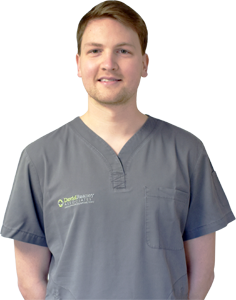 One area Emma gains great professional satisfaction in, is working with and treating nervous patients. 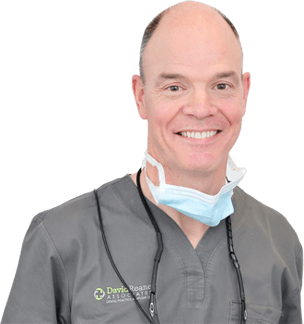 She spends considerable time working with them to identify and overcome the specific causes of their dental anxiety, providing gas and air sedation if required. And to her, improving her patients’ anxiety levels in the chair, by giving them a healthy, natural and more confident smile, is one of the most rewarding aspects of her job.